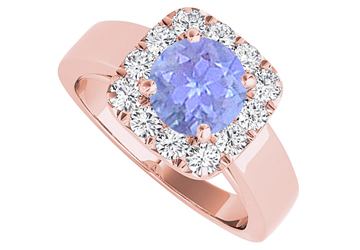 Halo engagement ring in rose gold vermeil with created tanzanite as center stone. CZs form special design around tanzanite. Perfect ring for engagement. 1.50 CT TGW.